It’s a tough job being a poet. I’m surprised it’s not better paid. so non-poets can see how poems are made? There’s no respite if you’re a poet. You’re working all the time. You have to get on it if there’s a call for a sonnet. And people expect you to rhyme. It’s more demanding than being a surgeon. It’s harder than digging a road. We deserve much longer holidays than teachers. It can be stressful writing an ode. if we need to complete a quatrain. but you’ll never hear us complain. 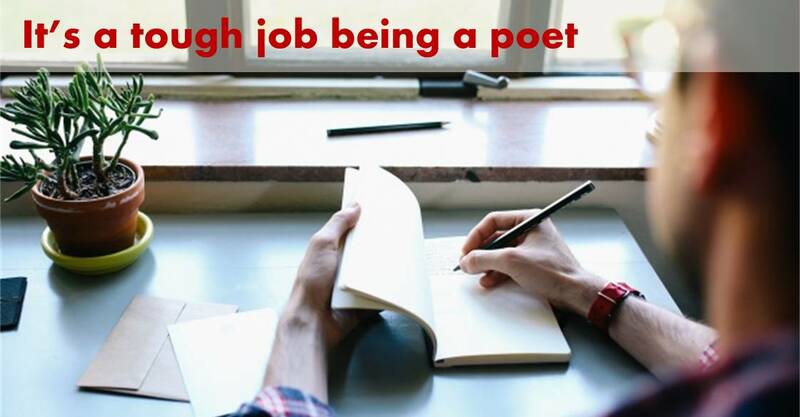 Remember a poet can be an enthusiastic inspiring addition to your classroom all year round, not just for World Poetry Day. If you’d like to know what I can do in your school, please contact me.